9th June 2015, Mumbai: d2h India's fastest growing DTH service has opened up new avenues for advertisers. Fresh from its listing on NASDAQ, d2h has made giant strides in the DTH industry; d2h is now offering advertising options available on its platform making it the preferred DTH player for niche and targeted advertising. Along with the Home Channel, advertisements can also be placed on the Regional Home Channels, d2h Movies, d2h Classic Movies, Info Bars, d2h Music, d2h Spice. 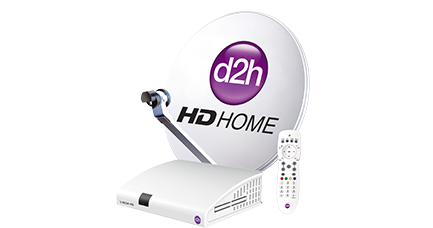 Home channel is the default channel of d2h. d2h Movies and d2h classic movies are the movie channels which air the popular movies. d2h Music and d2h spice are the music channels , d2h music is a family music channel containing a mix of all forms of songs from Bollywood, whereas d2h spice contains hit numbers and popular dance songs. The Regional Home Channels are highly useful to the advertisers in connecting targeted language states. d2h, as an advertisers and media planner's ideal destination offers reach and targeted space to engage consumers who can be tapped by the advertisers. The plethora of advertising options like regional home channels, music, info bars and movies channel help for targeted advertising. Mr Anil Khera, CEO, d2h, ""d2h is a great medium for advertising with 6.5 crore consumers. Our quality of consumer base is very healthy; to which advertisers can reach out to. It is a win-win situation for the advertisers and d2h, as we provide highly targeted niche market for advertisers. 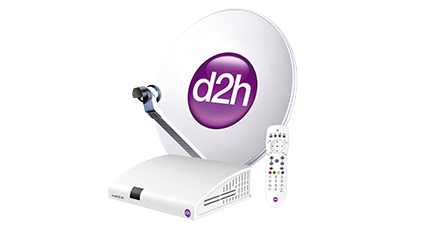 The confidence shown by some of the brands on d2h is very encouraging."" d2h has launched many firsts in the Indian DTH industry like the first to launch the 4K Ultra HD Channel, 1000 GB High Definition Digital Video Recorder, Radio Frequency Remote for DTH, Wireless DTH Headphones, 500 channels & services. Note to Editors: About d2h d2h is India's fastest growing DTH service provider which offers over 500 channels & services. 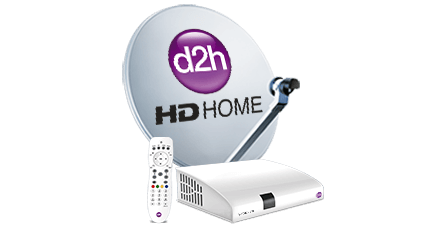 d2h also offers 36 Asli ""HD"" channels. It launched India's first 4K Ultra HD DTH channel. d2h offers India's first 1000 GB High Definition Digital Video Recorder and is the first DTH service provider to offer Radio Frequency Remote Control (available with High Definition Digital Set Top Box with unlimited recording). Powered by the MPEG-4 and DVB-S2 technology, d2h offers services such as 12 PIP Mosaic, d2h Cinema, weather updates and multiple tickers to transform your TV into a hub of entertainment and knowledge. It offers High Definition channels in 1080p, HDD Sound and 16:9 aspect ratio. Apart from these, it also offers the Active Music service, which includes 41 Audio / Video active music channels, 24-hrs a day. In addition, d2h provides round-the-clock prompt and efficient customer support in nine regional languages in addition to English and Hindi from the dedicated 8 Customer care centres present in seven locations. d2h is the most valued Indian company on NASDAQ by equity market capitalization as of May 28, 2015 and was the first Indian media company to be listed on NASDAQ.